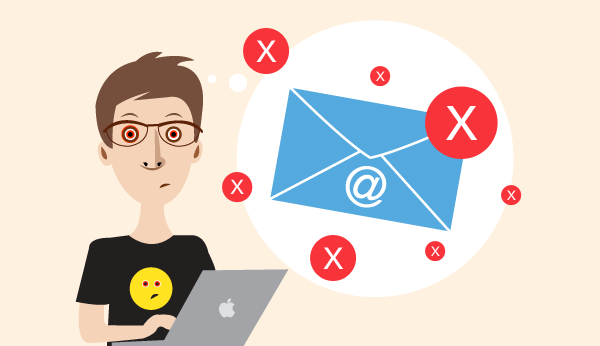 Marketcircle Blog Are You Making These 7 Email Marketing Mistakes? Email marketing is a profit-maker. There is no denying the fact. However, some mistakes get in the way of profitability. Below is a list of email marketing mistakes to avoid in your business. What marketing goals do you plan to attain through email campaigns? It’s important to consider these goals as you structure your email program. This helps to create campaigns that work. 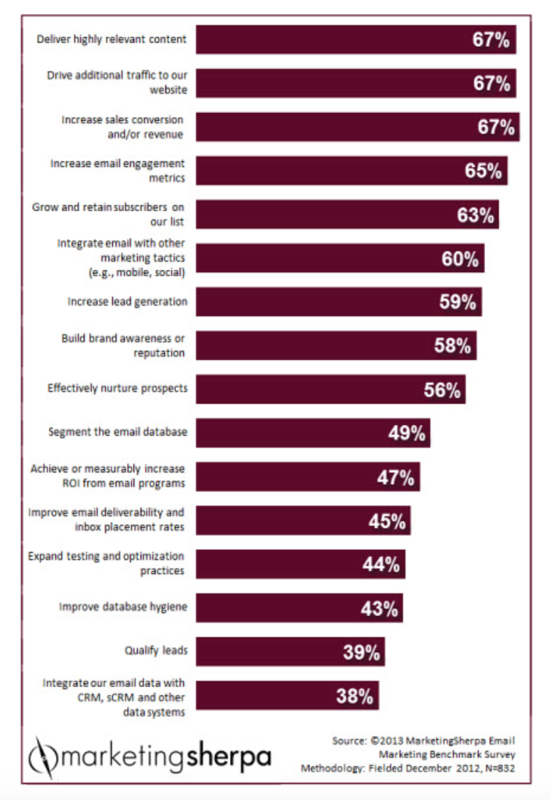 In a 2012 poll, MarketingSherpa asked marketers to list the goals their organizations wanted to achieve through email marketing the next year. Whatever your goal or goals are, work at gaining clarity from the get-go. This helps to plan your delivery, the type of content to use, the tone to write in, the yardstick for measuring results, etc. It gets you off to the right start. Personalization works in email marketing. There is no denying the fact. Sending emails that reflect a past purchase, past clicks, or general online behavior shows thoughtfulness on your brand’s part. It also shows you care about your customers (intending and existing). Consumers love to do business with brands that care. Various researches have proved this. A few years ago, Accenture conducted a survey which involved 2,000 consumers from the US and UK. The research discovered that 73 percent of shoppers prefer to patronize retailers who use personal information to make their shopping experience more relevant; more personalized. Yet another research by Infosys discovered 86 percent of consumers believe personalization influences their purchasing decisions. What does this mean for your service business? You’re losing money if you aren’t using any form of email personalization. So, how can you personalize your emails? Must it include the name of your subscribers? It may not as this KissMetrics article indicates. Instead of the basic, you can go advanced by making use of customer personas, location and time of subscribers, automated behavioral emails, and segmenting your email lists from the get-go. Like everything in life, email personalization requires a healthy balance to prevent over-personalization. The question that begs for an answer is; when does email personalization appear creepy? Six marketing experts provide a response in this article. 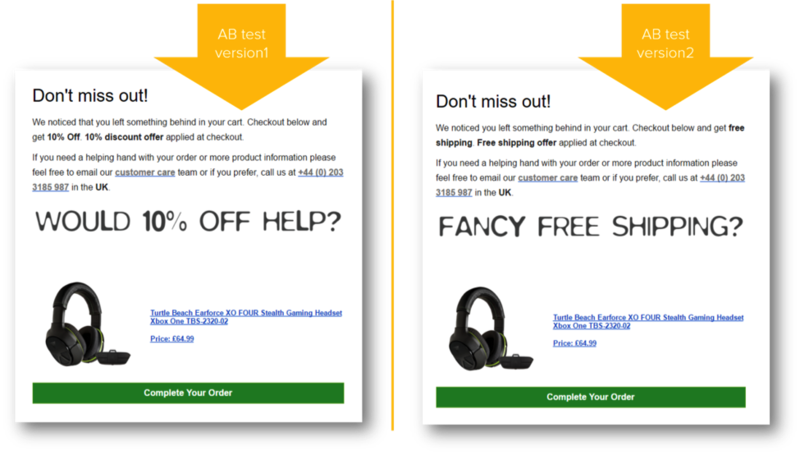 A/B testing your campaigns helps to increase the open and click-through rates. It can make a big difference to your bottom line. Split testing gives you a fair and data-backed idea of what moves your subscribers to act. It involves segmenting your email campaigns randomly into two or more groups. You then email the first group. The second group gets the same message but with a single specific change. Then watch as the results roll in. You can tell from analyzing the number of opens, clicks or conversions, which style, content or timing performed better or if there wasn’t any difference. A few years ago, mobile email wasn’t a thing to be worried about. Now, more than half of all emails get opened through mobile devices. Smart marketers know they just have to make their emails mobile-friendly. It’s a no-brainer. SmartPak Equine sells horse supplies and equine supplements online. To make the most of its resources and take marketing to a higher level, the company decided to engage subscribers with automated and triggered email campaigns. This led to the creation of over 40 event-triggered, lifecycle-marketing emails, including welcome, order authorization, anniversary and consumer polls, to name just a few. Most of these automated messages had impressive results and show smart marketers should apply automation, more often than not. The inbox of an average consumer is full of solicited and unsolicited emails. To gain sanity, a consumer occasionally deletes emails (while storing valuable ones). Only emails that stand out get to stay in the inbox. So, how do you ensure your messages stand out? How do you ensure your emails win the battle for the inbox? It’s simple. Let your personality shine through your emails. I can’t stress that enough. The fact that you run an online business does not mean you should hide your personality. Let people know who you are, what you think, your occasional blunders, etc. It’s long been established that human beings have an innate desire to connect. You can leverage on this need by connecting who you are to what you do. It involves a bit of personality. But, it works. All the time, as John Sherer, a director at Appcues, shares in this article. It’s time to show off your attitude like the peacock, in an appealing and breathtaking fashion. Who knows? You just might strike emotional connections vital to the email marketing mix. Running email campaigns without tracking the results is like flushing money down the drain. It’s a pure waste of resources. Suffice to say, email is all about return on investment (ROI). It is wise to pay attention to the metrics and focus on what works – and discard what isn’t working. * Thinking end to end (by measuring all three phases of effort – which he refers to as ABO – acronym for Acquisition, Behavior, and Outcomes). While noting that marketers cannot track everything, Kaushik provides a list of metrics to be analyzed including bounce rate, the rate of subscriber retention, click-to-deliver rate, the rate of email opens, etc. A commitment to being brutally honest with yourself (as you work around your email mistakes) helps at this time. The trick is to stay consistent so you can get your email campaigns on the track to excellent profitability. Which of these blunders are you making as a small business owner? How are you going to tackle them? Mary Ade is a professional writer for hire. She helps B2B/Tech companies attract new visitors to their websites and convert them into customers with engaging and compelling content that gets shared in the social media. She loves taking walks in her leisure time. Click here to hire her for your next writing project.